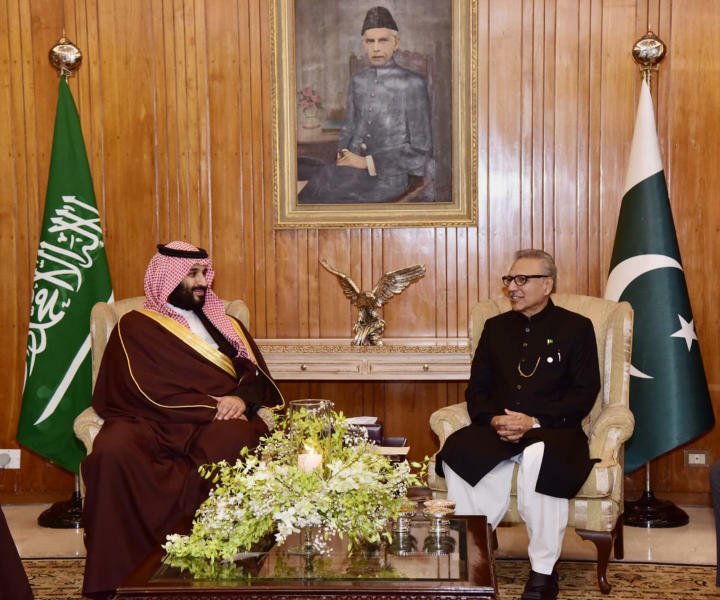 The comments came as Saudi Crown Prince Mohammed bin Salman was concluding a two-day visit to Pakistan. Al-Jubeir, the kingdom's former foreign minister, is part of the prince's entourage. Iranian officials had at first said that Saudi Arabia and the United Arab Emirates were behind Wednesday's bombing near the Pakistani border, but later said the attack was planned from "inside Pakistan." The militant Sunni group Jaish al-Adl, which claimed responsibility, is believed to operate from havens in Pakistan. Pakistan's Foreign Minister Shah Mahmood Qureshi told his Iranian counterpart on Sunday that Islamabad would fully cooperate in the investigation into the attack on the Revolutionary Guard. Pakistan has also pledged to act if Tehran shares evidence against those linked to the attack. On Monday, three Pakistani security officials said a search operation was underway in remote southwestern regions bordering Iran in an effort to arrest suspects linked to attacks in Pakistan and Iran. They said the security forces were searching areas where Tehran believed insurgents responsible for last week's attack might be hiding. Gen. Mohammad Hossein Bagheri, the head of Iran's armed forces, said the Pakistani army had launched an operation near the border. He urged Pakistan to confront armed groups or "let Iranian forces enter the battlefield." 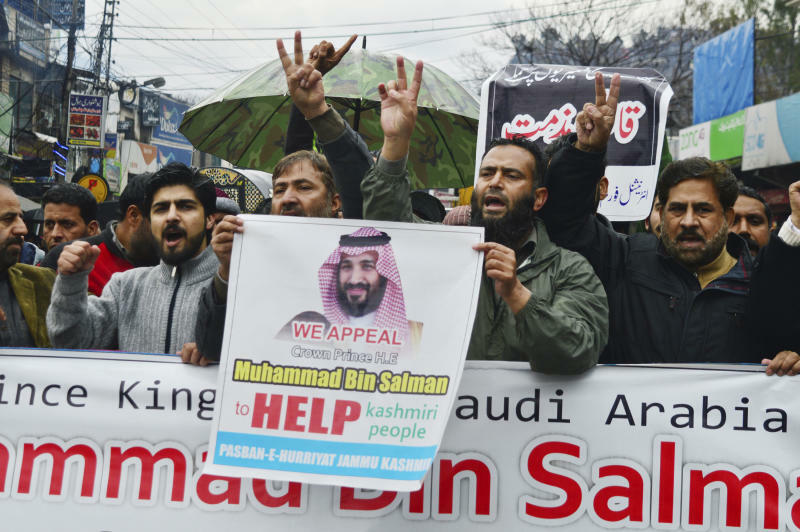 Pakistan voiced support for the prince during the international outcry after the killing of Washington Post columnist Jamal Khashoggi by Saudi agents in October. The kingdom has long provided aid to Pakistan, and signed an agreement for a $6 billion assistance package after Pakistan's Prime Minister Imran Khan attended an investment conference that month that saw a wave of cancellations linked to the Khashoggi killing. 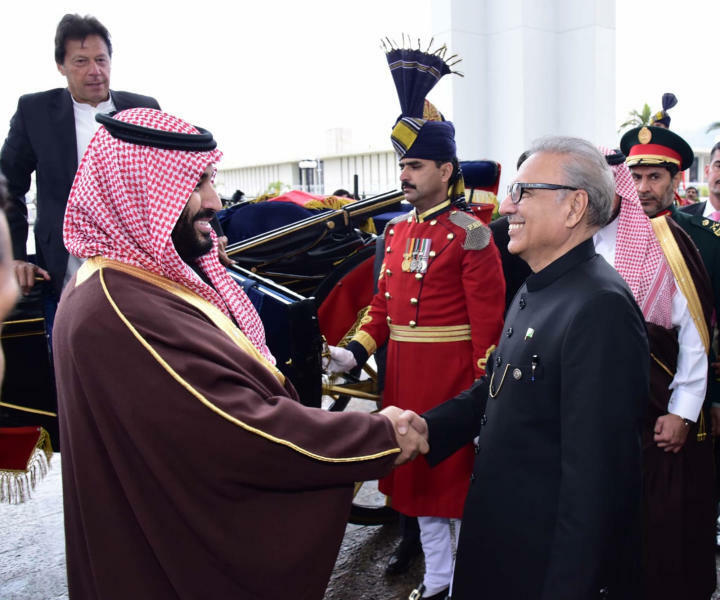 Pakistani President Arif Alvi on Monday conferred the country's highest civilian honor on the Saudi crown prince, who left Pakistan amid tight security. Khan drove the prince to the airport. Prince Mohammad is expected to travel onward to neighboring India, which has warned Pakistan of a "crushing response" to the suicide bombing of a paramilitary convoy in Indian-controlled Kashmir that killed 41 people on Thursday.